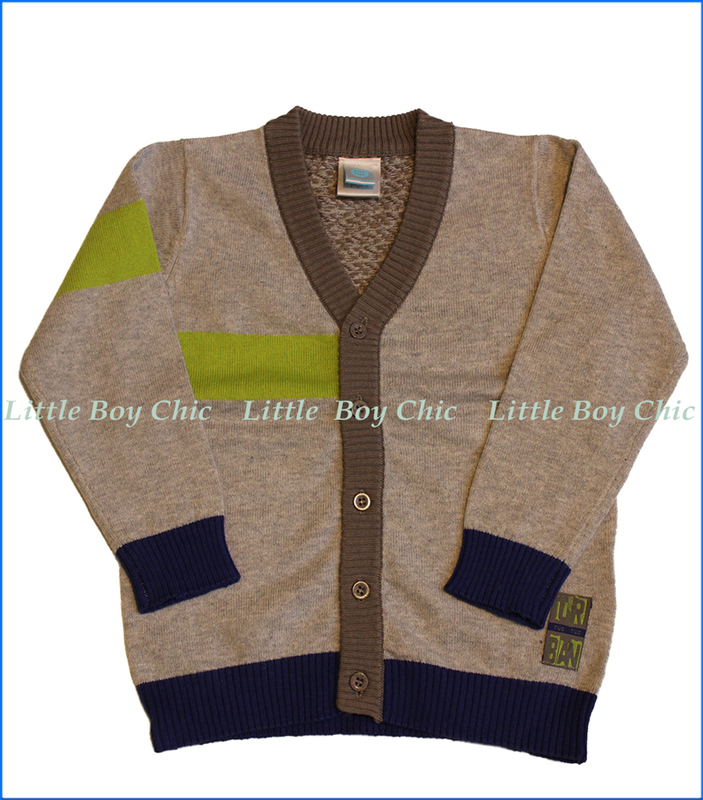 This Cardigan Sweater by Tuc Tuc comes with an urban flair, many thoughtful details and quality construction. 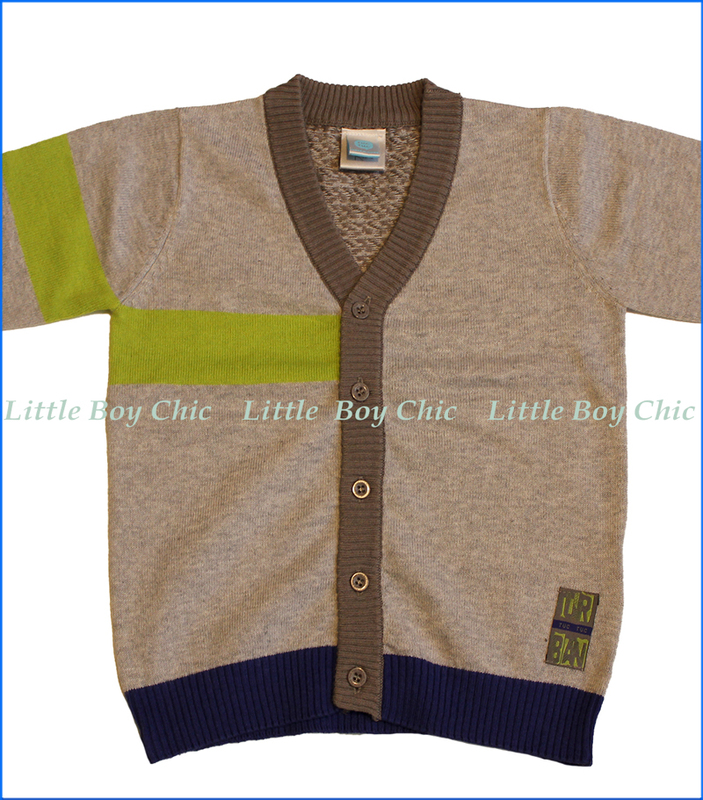 Stylish ribbed trim at the neck, cuffs and hem. 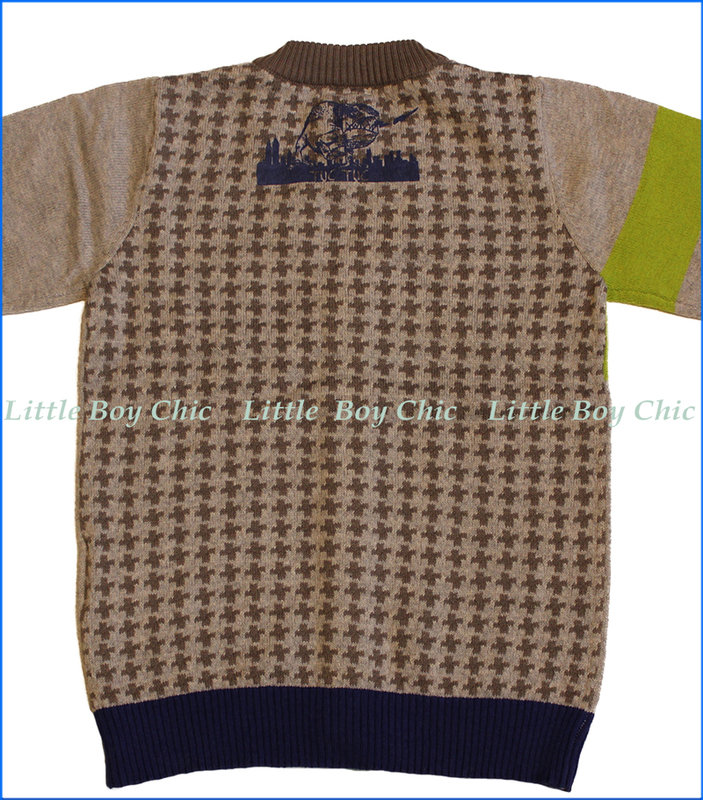 A splash of a thick lime green stipe on the front and arm contrasts beautifully with the violet ribbing at the hem, meanwhile on the back, the dark grey geometric feature repeats symmetrically throughout the lighter gray background of the sweater. Has a lovely and soft hand feel and a tad of stretch for comfort, thanks to the blended fabric.